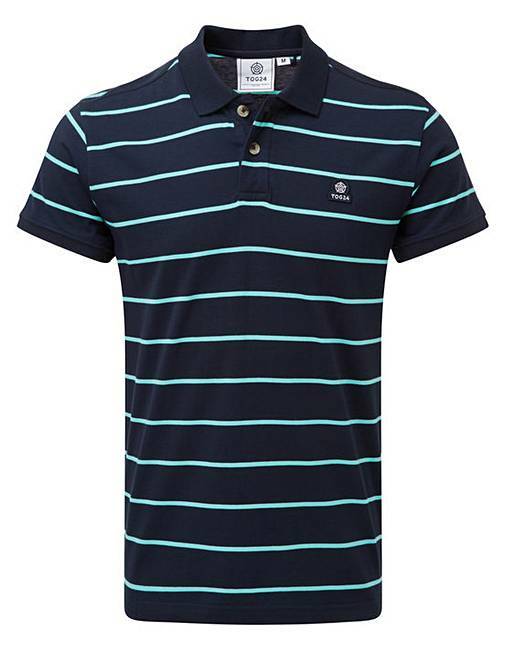 Tog24 Alfie Mens Polo Shirt is rated 5.0 out of 5 by 1. Perfect for a round of golf, walking the dog or socialising with friends, our Alfie polo shirt in supersoft cotton jersey has crisp stripes dyed into the yarn, so they won't run in the wash. The shaped hem is longer at the back and there are split vents to the side, giving a streamlined fit. This polo t shirt has a flat ribbed collar and cuffs and is finished with a discreet Yorkshire rose emblem embroidered on the chest.